Before there were any books or blogs or conferences or studies, I used to be a teacher. I know. Petrifying. I taught 4th grade for three years and 1st grade for one. And then I had a bunch of babies and can’t remember the next six years. Though I’ve switched to the fake job I currently have, I will never forget my classroom years, and I have a few things I want to tell you, Teachers Everywhere. First of all, I’ve calculated your earnings by adding your classroom hours, pre- and post-school hours, conferences and phone calls, weekend work, after-hours grading, professional development requirements, lesson planning, team meetings, extracurricular clubs and teams, parent correspondence, district level seminars, and material preparation, and I believe you make approximately 19 cents an hour. And then people say, yeah but teachers get three months off for summer, and then we all clutch our guts and die laughing because WHATEVER, MAN. Like teachers leave on the last day of school and just show up on the first with a miraculously prepared classroom and a month’s worth of lesson plans. But seriously, thanks for the laugh. The amount of work and energy you pour into your work and our children is so astonishing, it is a crime that you don’t all make 150K a year. Since you couldn’t possibly do it for the money, we can only assume you love your job and love our kids. Can you understand how much we appreciate you? You are doing far more than teaching our kids the building blocks of knowledge and learning; you are helping us raise our children. You provide a second environment in which they have to practice respect, obedience, teamwork, diligence. We tell them take initiative on your work and they are like this house is a drag, and then they come home from school and say I’m starting this project early because Mrs. Pulis says to take initiative, and we wonder if you have magic powers or if our children are just willfully obtuse. The answer is…yes. That high standard you set for our kids? We freaking love it. Thank you. Thank you for insisting on kindness and respect, excellence and persistence. Thank you for sometimes saying, “This is junky work and you can do better. See you at recess.” BOOM. All day long, teachers. We stand behind you. Thanks for requiring their best. Don’t imagine I don’t know exactly what that means. Teachers, when you instruct our kids that struggle, I know you have, yet again, patiently pulled up a seat next to their desks, 24 other kids still in the room, and kindly helped them toward mastery. I know you modify, adapt, adjust for their success, which takes so much time and energy. Children with emotional or physical challenges, kids with language barriers and personal turmoil, those who struggle to learn and retain, test and succeed, they require so much of you in the midst of your regular responsibilities, and your patient attentiveness cannot possibly be overcelebrated. As a mom whose children blossomed under the weight of your investment, I could throw myself at your feet and weep with gratitude. It’s one thing to have parents who sort of have to love you; it’s another to have a teacher affirm your goodness all year long. You know our kids come home and repeat every kind word you deliver, right? I close my eyes and thank God that another safe adult is building health into my children, especially since two of my kids have been subjected to such unsafe grown-ups. Your consistent presence is deeply healing for so many hurt kids. Your words are life-giving. That is A LOT of daily affirmation. I feel exhausted just looking at this. We know your task is incredibly difficult. 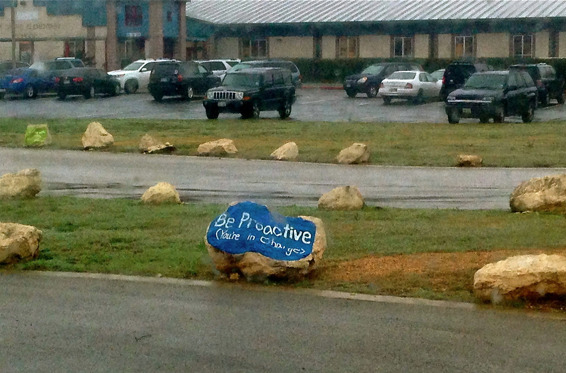 Be creative and innovative…but also teach to this test, which by the way, your pay and security depends on. 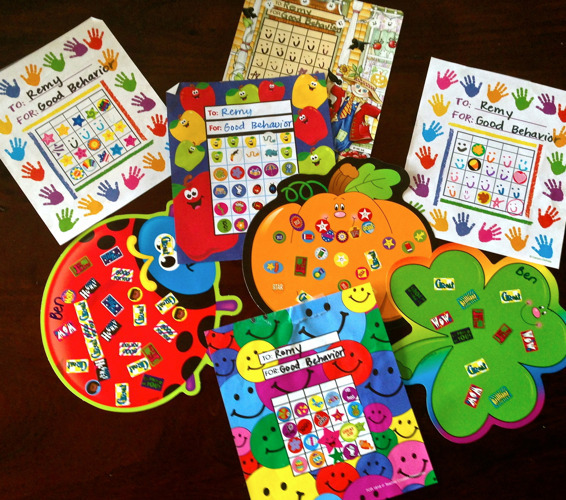 Challenge your gifted kids…aaaand modify for those with developmental delays. Keep all those parents happy! (<--- This alone should double your salary.) Use this new model, no this new one, now this new one. Surprise! We changed the entire district database. Please forfeit your Saturday for training. Stay on top of classroom communication. Attend all ARD/IEP/ESL evaluations for your students. And oh, you do so much more. Serve on this additional committee. Volunteer to sponsor the Junior Class. Guess what you’re doing this weekend? Prom chaperone. You lead Destination Imagination Teams; it only takes 100 hours of your life. You coach, lead, sponsor, direct. You put on plays and programs, award ceremonies and graduations. You come early and stay late for the students who couldn’t get it, didn’t finish it, need your one-on-one help. You wear bandanas and paint your faces for Field Day. You are rock stars. Administrators, we see and love you too. When you sat down with me holding your legal pads and pens, ready to learn how to care best for my incoming Ethiopians, and you wrote down every word I said and agreed to counter-intuitive requests like please don’t hold their hands at first and please don’t let them over-attach to you, you nodded and simply said…absolutely. I will never forget that. You are for us, for our kids, for our families, for our teachers, and we adore you. You are so loved, so important. Your work impacts kids for the rest of their lives. I am 38-years-old and still talking about Mrs. Palmer, Mr. Stranathan, Mrs. Thomas, Dr. Russell, Dr. Lyles. You don’t get the credit you deserve, so I am standing up today, applauding you, cherishing your investment in the next generation, in my kids. I see the incredible amount of work you do, and I am forever grateful. You are heroes; there is no lesser designation. Please remember when you are grading papers at 10:30pm on Sunday night, or pinning another incredible idea to your Teacher Board, or writing our kids another encouraging note, or throwing a party because they survived the latest standardized test, we see you, we appreciate you, and we freaking love you. Your life matters so much and your legacy will go on long after you’re done teaching. You are sending out visionaries, thinkers, activists, and leaders into the world, and we owe you a debt of gratitude that we can never repay. Happy Teacher Appreciation Week! We honor you. Have a teacher who needs to hear this applause? Send this to them. Teachers everywhere deserve this credit. Have a story about a teacher who altered the course of your life or your child’s life? Tell us. Are you a teacher? Take it in, because you are WONDERFUL. My daughter is a teacher. I'm sending her this because it means more coming from someone who is not her mother. Thanks. Louise, I am doing the same thing for my daughter who is a teacher! My daughter is also a teacher...sending her this too. AWESOME! I was just sending out memos to the other parents in my 3 kiddos classes that teacher appreciation for us is next week and that I hope to lavish some good old fashioned love and appreciation all over them! This was so timely and as I teared up reading it- I know it is so true! Whether we always love everything happening at school we owe them a heap of love and gratitude! Thanks for your heart Jen...the things you say always identify with the rhythm and beat of my own heart! Reading this with tears in my eyes! My husband teaches a middle school (eeek!!) adaptive behavior (aaccck!!) class and every day I am amazed at the ways he loves/encourages/disciplines/motivates/inspires his students with emotional disorders... AND THEN on top of that, he comes home and is an amazing husband. Thanks for this encouraging post. I will pass it along to him and several other teacher friends and I'm sure they will be blessed. My husband is a teacher. I'm bawling. This couldn't be truer...THANK YOU! Excellent. My girls have been BLESSED with 2 really fabulous teachers this year! I love them so! I am about to finish my first year as a PreKindergarten teacher (last year I was in Kindergarten) and it's a rough road teaching kids that are going through their first year in 'real' school. They are adapting and so are the parents. Some a little more willingly than others. Right now I'm going through a rollercoaster of emotions: I'm going to miss my babies so much but I'm so ready to have 19 less 4-year-olds in my daily life. I'm also the mother of twin 4-year-olds. Thank you! Thank you! Thank you! I'm sending this to my kiddos teachers. We have the hands down best 5th grade teacher in the entire world (if you don't believe it, just ask me) who has pushed and grown my 5th grade boy by leaps and bounds this year! He's freaking testing over an 8th grade level in math all because this teacher challenged him to do it! Beautiful! And thank you to paras and speech teachers and occupational therapists. My son is in PREK and I've gotten to know all these amazing ladies through his IEP. Oh frig, Jen, this made me bawl. But not because I'm a teacher! Because I so deeply feel this appreciation for the men and women who do this job that I could never, ever, ever, ever, ever, ever do. Ever. LOVE this! My mom is a teacher and I am utterly offended when people say she makes too much money given that she gets all these holidays and stuff over the summer and she still gets paid for them. First of all, she could have her salary over ten months or twelve, and she chooses to get it over twelve so she doesn't really get paid for those breaks. She just has them divvy up her money wisely. And second, she spends spring break, October break, and all of those other days off with some kind of grading. Her job doesn't stop the moment she leaves the doors of the classroom. You will rarely find her complaining about it -- no more than the average Joe complains about his or her work. Thank you for this, Jen! What a wonderful way to honor teachers. Oh how timely this blog is today! My husband, who is a 4th grade teacher, has had an extremely rough year at work, and I've been praying that God would help me to support him during this time. I will definitely share this with him..thank you!! I think if I were a teacher, getting a note like this would be way better than getting a casserole or a candy bouquet delivered to my room. Yep, I would prefer this affirmation any day. Strong work Jen, loving on those teachers. I feel the same way. My mom's a teacher and my dad's an administrator... your words are right on! Love them! My amazing, wonderful hubby is a 5th grade teacher. He has been struggling with all the politics that come along with teaching...thank you for saying all the things that so many don't. I will be sharing this with him! I am almost finished with schooling to become a music teacher, and I can honestly say I would never do it for the money. When a child's face lights up because they proved to themself that they could do something they were either told they couldn't or never believe they themselves could accomplish. Children deserve good teachers, no matter the pay and no matter the time put into it either. Thank you for the "thank you"... it helps on the hard days! Specials teachers are so often overlooked. Music, PE, library, and computer lab personnel are also teachers. Don't forget the important role they also play in your child's education. Thanks for remembering us too. I'm a health and PE teacher and can't tell you how many times my dept has been forgotten. My 5th grade teacher- 20 years ago-- was that teacher to me. I remember running a high fever at school and this amazing teacher, Mrs. Bass, arranged for someone to watch her class and she put her arm around me and walked me to the clinic. We were much more than a job to her. She certainly made a difference in my life. What?? Could we be twinsies? 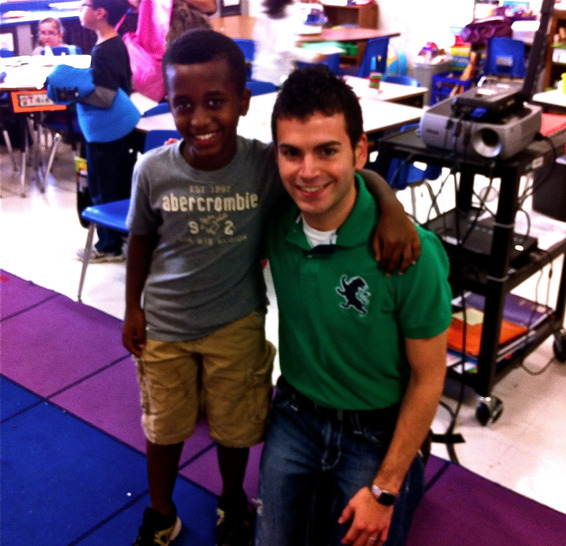 "I taught 4th grade for three years and 1st grade for one. And then I had a bunch of babies and can%u2019t remember the next six years." I used to teach 1st grade for three years and 4th grade for one before I had a bunch of babies! Love this post and shared it with all the wonderful teachers & administrators in our lives - thank you for your amazing words! Thank you. I became a teacher due to the powerful influence that my own teachers, as well as my parents (both teachers) have had in my life...I love kids and thought that becoming a teacher was a decision that just "made sense." There is a difference though, between choosing to become a teacher, and choosing to teach each and every day. We need to stop bashing each other and choose to have honest conversations instead. Thank you Jen, for loving on teachers in your genuine and honest way...for encouraging us. I love your response. I would like to use part of what you said on a teacher appreciation card, if that's okay with you. Just sent the link to my kids' teachers with a heartfelt thank you. Boom! And I sympathize with the too much HW line. I was a teacher before I had kids and I am sure my name was cursed every night at all of the HW I assigned. Thanks for publicly acknowledging that we aren't "just teachers"! I am forwarding this on to all my kids' teachers! Beautifully written and THANK YOU! I'm a teacher at her desk after school. I just graded a bunch of papers and learned that my students did not retain anything I taught today, so I am trying to figure out what I did wrong (teaching a new concept at the end of April) and how to make sure that they get it tomorrow (or if it is really that important). I needed this today. This is worth more than candy bars, mugs with apples on them, or the stationary. Thank you! I am a high school ESL teacher in Oklahoma and reading this was just what I needed today. Thanks for this post! oh, good lord. i was a third grade classroom teacher for seven years and then, i stayed home with kids. and now that my kids are in elementary school... I GET IT!!! i'm so sorry for all that homework. for reals. I'm writing with tears in my eyes. There ARE still people who appreciate teachers. Thirty-three wonderful tough years in the classroom; a mom who taught; two daughters and a sister in education....the job has become increasingly difficult. THANK YOU for writing this and THANK YOU to those still working to help children be ready for the rest of their lives. I saw this on a friends a facebook page. I'm a first grade teacher and it brought tears to my eyes. If only parents knew just how much a kind word or thank you note truly means. I love my job and love teaching kiddos but hearing that people know that's its not a 730-3 job means so much more. So thank you!!!!! Thank you for putting this out there. Ill be sharing it with my colleagues tonight! Thank you so much for posting this. I am an elementary school teacher - in the midst of high-stakes standardized tests this week - and I really needed to read this today. I didn't even know it WAS teacher appreciation week! :( This brought (happy) tears to my eyes. Thank you for reminding me why I go to work each day! I am a 7th/8th grade English teacher and this just made my day. It's hard to keep your head above the rising waters of paperwork, lesson plans, and everything else on an average teacher's plate. You just handed me a much appreciated floatie. Thank you. Thank you for the encouraging words. Today was just another day in the life of a Special ed teacher, but wow, when I think of all that went on and how it ended with a parent crying all through an MDR meeting...I'm overwhelmed and in tears. Love all my kiddos, though. Thank you so much for posting this! We've been testing for two weeks straight and I thought I would have a breakdown. I have been clinging to the knowledge that I have made a difference this year and remembering how much progress my ESL students have made. Reading this has been a much needed encouragement. Thank you from the bottom of my heart. So needed this today. Thank you with tears in my eyes! I am an Instructional Coach, and classroom teachers of 16 years, who is deeply blessed to work with an amazing staff of 70 middle school teachers of an at-risk, inner city school in Michigan. We are all just exhausted, beaten down, and counting the days until someone here says exactly what you have said and says it loudly. Teaching is truly a calling and we all still hear the call, it just get muffled by politics, evaluations and test scores. I know we will keep going because we do so LOVE these kiddos and know that even when parents aren't present, and our children come from nothing, WE can give them a safe place and an education that will carry them into their future. Thank you for your encouraging words. I needed them after the angry parent phone call I had this afternoon. I was just holding her child accountable to the high standard I expect from my students. I never knew this was teacher appreciation week. I taught preschool for twenty years (now home with my China cutie). I want to pause and say A-to-the-MEN! YES YES YES, You said it. From a teacher who truly needed to hear this today, Thank You! Just sent the link to all three of my kiddos teachers and posted it on Facebook! You said it perfectly! Every word penned so carefully and .... RIGHT ON!!! I have been teaching children for more than twenty-eight years. So many memories... This year has been the worst of my teaching career.... not from the students, not from co-workers, but from a legislature who has ruined it for ALL PUBLIC SCHOOL TEACHERS of LOUISIANA. Reading this made me cry because I want to continue teaching.... probably ending my career at the end of this year. As a third grade teacher, I have tears in my eyes, and I thank you!!! I taught sixth grade for eight years before having babies and now staying home. I couldn't agree more! What a beautiful post. I died laughing at your 19 cents per hour estimation, and yes-- not for the money, but because of the awesome, intelligent, funny, (sometimes irritating), creative, amazing kids!! PS-- I'm an OBU grad too. I adored Dr. Russell and learned so much from her! As a second grade teacher currently teaching my toughest class in my 11 year career...THANK YOU! As much as my husband sometimes questions my true love of my job when I'm pouring out my angst, frustration and concerns over kiddos who are struggling and other issues we deal with I'd never give it up. It's rare to find this type of recognition or gratitude for the blood, sweat and tears we pour over to these little people who become much like our own children. THANK YOU doesn't seem to be enough for your eloquent recognition. Love those teachers ... Especially at Elm Grove!! Blessed by that school every year! Thank you for those wonderful words. I taught for 44 years and loved many many children. Thank you to all parents who entrusted their precious children to me. I'm printing this out and putting it with my pre-schooler's teacher's gifts. Those wonderful ladies have NO idea how much they mean to me! God bless you... always, but especially in this time of education being ransacked by politicians and corporations. I am a third grade teacher and this brought me to tears. Thank you. SOOOO needed this! Thank you! ...from the bottom of my heart! As a fourth grade teacher, I can't say thanks enough for these sweet, life-filling words. I cried as I read it and can't wait to share it with my colleagues. I feel blessed to get to do a job every day that I love so much-even when it's really tough. Thanks again for your beautiful words of affirmation. Your writing is beautiful. I am a 5th and 6th grade teacher at a wonderful school, but at this time of year we are all so TIRED! Your words brought much needed tears to relieve some of the stress of finishing strong! THANK YOU! I am sending to all my colleagues! Thank you so much Jen! You have no idea the comfort this brings to me today. I am a single mom of two little girls. I went back to school to complete my teaching degree after my husband left me for another woman. I FINALLY completed my teaching degree, but couldn't find a job, and took a long-term sub position instead. I have the hardest job in the district, as stated by my principal, and I have taken my bunch of 7th and 8th grade intervention kids on a journey to find the fun and meaning in learning! We have come SO far!!! I am so proud of them! I just found out today that my job is not being renewed due to budge cuts, and so now I am facing the uphill battle of finding a new job in this struggling economy. The stress is immense . . . my job ends in just a few weeks and I have no idea how we are going to make it through. I left my room in tears today, and find myself crying once again . . . please pray for us as I try to pick myself up yet again, and trudge forward to find a way to once again do the very thing that I love. Be Blessed . . . the work you do is amazing! I am praying for you now, Jodie. Have faith, you sound like an amazing teacher. There is a classroom waiting for you. Praying for you and your daughters. If you believe everything happens for a reason. I'm sure God has something much greater for you and look at it as if God knows the only way you would change assignments is for Him to close this door. So with that, dry your tears pick yourself up and continue the journey He has planned for you. I see great things for you in the future. Continue to make a difference. Loved this. I adored our elementary school and my kids had a bunch of teachers like this. Sadly, they were few and far between in middle school and high school. But there were a few, and I'm so grateful for them. Thank you! I teach fourth grade, and I hear so much negativity about teaching. I sometimes question why I do it. Then God sends a reminder that I am serving Him through serving my "kids". Jen- I love teaching your sweet Syndey! Thanks for sharing this beautiful piece and your beautiful child with me! Thank you for posting this. Not only do teachers make a difference in students' lives, but the students leave a wonderful impression in our hearts and minds forever. God bless all teachers! This is such a superbly beautiful piece. I have many friends who are teachers as I am and definately want to share this. You reminded why this profession was chosen and why it is only considered a job when the grading is taking time. Thank you for the encouragement. Now that my own little ones are in bed, I am off to enter grades into my grade book, which were graded standing at the kitchen counter while making dinner. Jen, if we all had parents like you, the lifespan of new teachers might be longer than 5 years, according to recent research. When we can partner with parents, instead of becoming the parent or fending off constant attacks, everyone benefits. In a culture where teachers are rarely appreciated, supported or encouraged, it's refreshing to read your many kind thoughts. Most of us know that it's realy the children teaching us, and parents like you share the best lessons with al of us. As a lover of your blog I often end in happy tears. This however spoke to my soul. I needed this today!! Thank you for sharing your heart and reminding me of mine! I taught before quadruplets and I too must apologize to all my first grade parents for homework. I know better now that I am on the other side of the desk. Thank you for writing this. You are such a wordsmith. I plan to share this again and again. Jen, thank you so much! I just got home from school, it is 8pm! It has been a day filled with finishing up speeches for Wax Museum, two IEPS, a meeting after school, and then decorating for a potluck for tomorrow. I AM EXHAUSTED. I am so thankful for parents such as you that take the time to thank teachers. Tears falling...thank you so much. Thank you! 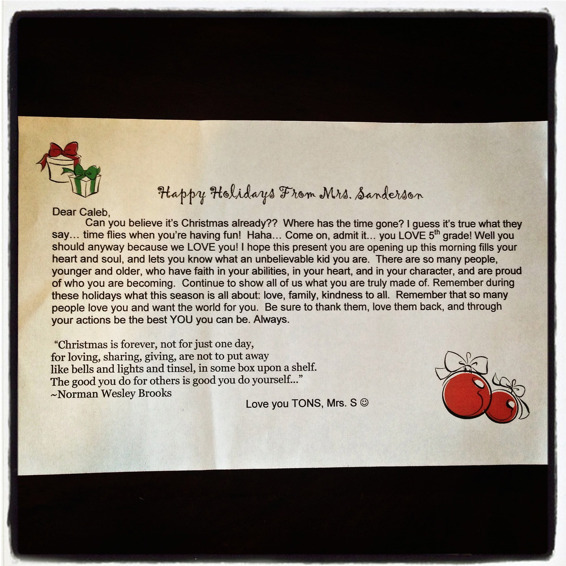 From a 1st grade teacher who loves you and these words! Thank you for writing this! I am a former High School math teacher who took some time off to home school my struggling 9 year old. Bless his heart, his teachers tried their best and did what they could, but he needed one on one attention he could not get in a traditional classroom setting. So, here I am, heart in my hand, tears in my eyes, because I feel appreciated on so many levels right now! I loved my kids (the ones I taught) and I love my kid (the one I gave birth to) enough to let go of the ones that were on loan. The great thing about homeschooling is I get EVERYTHING I loved about teaching with very little of what made it hard. 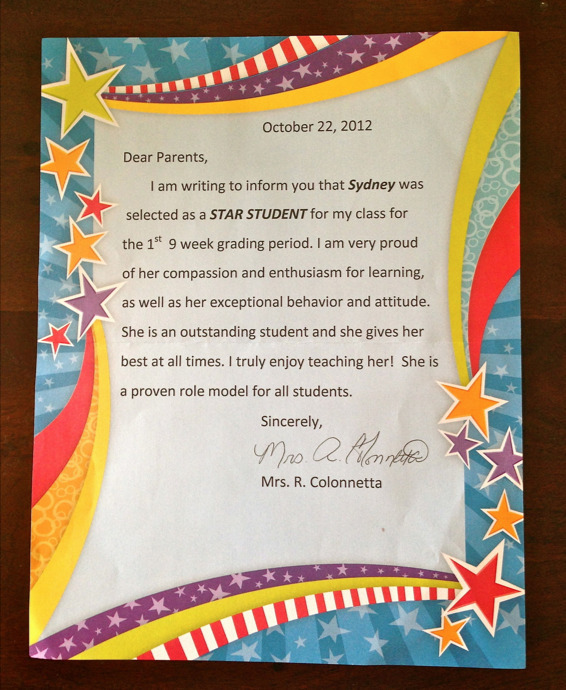 I only have one parent (other than myself) to make happy, and my star pupil hangs the moon, at least in my eyes! I still miss being Mrs. D to about a 100 15-18 year olds a semester and I am almost never stopped in public anymore by one of my adoring fans, but I would not change what I am doing for all the money in the world. I make a difference...every day...to one little boy. From a middle school teacher that had a long day, thank you. Thank you for saying all that we are thinking. Thank you for advocating for us. This was very moving and I hope it has the same effect on those who are unaware of what we do. Thank you for this! I want to encourage everyone who reads this to personally pass on your appreciation to your child's teachers - not just during Teacher Appreciation Week, but on a random Tuesday. I am a teacher and even though we do all this because we love your kids, it helps so much to know the parents are behind us! We hear every complaint, question, and critique, but rarely do we hear anything like what you wrote here. Thanks again! I'm a teacher and parent. Thank you SO much! That's what I needed to make it the next 4.5 weeks. God bless you!!! I am a Kindergarten teacher and can't thank you enough for this post! Thank you for reminding me there are positives in teaching. I am loosing sight of them dealing with others who think differently than you. Thank you for sharing this. 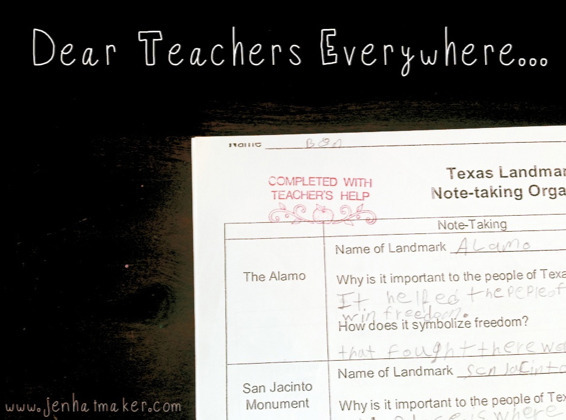 I am a special education teacher in Texas. I will be sharing this with my colleagues. Thank you so much for these words. I've been teaching for 26 years and rarely hear such wonderful things. When something terrible happens in the teaching world, everyone "downs" teachers in general. It's great to be appreciated. I can remember every teacher I had. My 1st grade teacher is the reason I wanted to be a teacher. I have loved each child as if he or she was my own for the last 35 years. Thanks for your kind words. It means so much to feel supported and appreciated because more often than hearing thank you or good job we hear criticism and what we aren't doing well. Thank you for the words of kindness and encouragement! After having a really rough day (not because of the kids, but because of the politics), I really needed this. THANK YOU. As a middle school teacher who has questioned a thousand times over the last couple of years,"Really, God? Are you sure I'm supposed to be here? I don't feel like I'm doing any GOOD." These words are a balm to my heart, and I can't say thank you enough! Sincere appreciate goes a long way. Thank you. This is one of the most amazing things I have ever read about teachers. I am a 1rst grade teacher and cant thank u enough for the unbelievably kind words you spoke. THANK YOU! Thank you so much Jan. My adult daughter sent the letter to me, which is also very sweet! Well, I cried! I'm sending the link to everyone at my school! God bless! To my teachers through the years- THANK YOU! Thank you! I'm a teacher and SO needed to hear this today!! This brightened my day...I'm an ESL teacher who loves her job! I couldn't see myself anywhere else. I love watching my kiddos grow over time and seeing the excitement in their faces. I am blessed by my students daily and am so lucky to be doing something that I love everyday! Thank you for recognizing all that goes into teaching and for showing us as humans. Thank you again! Jen, as a retired teacher I say thank you, thank you, thank you for the shout out for teachers. Today, more than ever, they are pressured and maligned. What a wonderful way you've chosen to appreciate them! Thanks! Thank you for your kind words, love, and compassion for what we do. Please accept my simple thanks for your kind words. I've taught special education and 4th grade for the last 27 years. I have 4 struggling special needs students and 3 ESL students in my classroom this year. They are wonderful and our classroom wouldn't be the same without them! I enjoy finding ways to make sure they are learning, but it does take time. Few people understand that. I have wonderful fellow teachers at my school that work just has hard as I do! Thanks for noting all of this. This is for all of the teachers who teach their hearts out and my school has a building full! Thank you, thank you for all you do for our kiddos. I wish you ALL could be Teacher of the Year and Hope you ALL have a wonderful teacher appreciation week!! Wow, This was absolutely beautiful. I am in tears. Thank YOU for your recognition. Thank you so much for this. I can't even explain how much it means. It's the eve of my retirement party....36 years at one school, 4 years in other schools...so 40 years of doing what I love.....Everyone says I'll love retirement, but I will never love it like I loved teaching. Thank you for your appreciation for teachers. I've been blessed to know many parents just like you, so I feel loved and appreciated! Put a tear in my eye! I'm a middle school teacher and truly love my students and my job! If there is even one parent that feels this way about me, then it is worth it all! Wow, a friend of a friend had this link posted on Facebook so I opened it. Not only was it a heartwarming story, but I saw all of my old friends from my old school. An amazing school, filled with amazing teachers. I taught there for three years and loved every minute of it. All the faces, and names in your notes are friends from years ago. Thank you for the wonderful accolades. It feels good to be appreciated and also reminded about how important our jobs in the eyes of our kiddos. When I left school today my bucket was pretty empty. You have filled me up and tomorrow will be a better day. Thank you so, so much for your kind words. Good to know you love us! I have forwarded the link to my coworkers. Sad to say, but THIS IS THE FIRST POSITIVE COMMENT I'VE SEEN ABOUT TEACHERS in the 10 years I've been teaching. My state's politicians (Florida) continually degrade us and accuse us of being lazy even though we rate 4th internationally in test scores. I work 3 jobs, actually beginning a fourth one soon. Don't mind the hard work, but if I didn't have to work the extra jobs to make ends meet, I could focus more on my students! I left an extremely lucrative business that I owned for 13 years where I made more in a month than I make now in a year working 3 jobs. I did it for the love of teaching. Unfortunately, I've felt little love in return except from the joy of working with students. In many cases, I see them more than there parents do. Love my job, just hard to keep my head up with all the put downs. Thanks for sharing something positive! I'm not a teacher, but I remember the impact some that I will never forget! Be the teacher, that a child will never forget! Thank you so very much for this! It means a great deal - and was the exact pick me up I needed today. Oh my gosh, Mrs. Hatmaker you were my 4th grade teacher at Jenks east elementary! I believe that was your first year of teaching? Well I'm a teacher now and still remember things I did in your classroom. Especially "sparkle" and we got to sit on our desks while we played it! We loved it! What a wonderful tribute to teachers! They have such a bond with their students and teach them invaluable life lessons as well as their reading writing and arithmetic. Also having to deal with uncooperative and critical parents. I am a substitute teacher and have only been one for 3 years and I have gained such respect for teachers. I always admired them but now I think they should be elevated to sainthood! As a teacher in her 27th year of teaching, I needed to read this tonight! We often forget the impact we have on the kids...and families...in our rooms. It's nice to know that there are people out there that appreciate all that we do. Thank you from the bottom of my heart! Words that mean so much. Thank you. As a retired teacher after 34 years, I always loved my job, and the kids. Some things have changed, but I truly believe parents do their best, kids try hard, and teachers work to make sure students have the best 8 hours of their day. Thanks for your recognition. Thank you. In a time where we're not trusted or supported, and are accused of not doing enough or of picking on certain kids, this is a welcomed post. I think that for most teachers, (me included), we are so used to not being thanked and appreciated that we don't know how to deal with it. I honestly have a difficult time believing that I really do a good job. I've had to force myself to gracefully to accept those compliments that don't come very often! Taylor makes an excellent point. I too on occasion was thanked by students. However, I got so discouraged and depressed teaching high school, in spite of my love of the students, profession, and content area, that I retired. I rarely got support when a parent wanted something against policy (or fibbed - yes, it happens), little affirmation except from my husband, and gradually the disrespect daily from students and parents took a toll. Every year it got harder to bounce back and believe I made a difference. Maybe it is different in elementary school. I sincerely hope so. Could say many things being both a mom and a teacher but I will say this....Here here to Mrs. Palmer and Mr Stranathan. They definitely inspired me and if I can do half the job they did it is a day well done. Thank YOU! I have been a teacher for four years and only hired for one of those. The last three I have spent subbing while finishing my Masters Degree as a Reading Specialist. I will graduate in less than two weeks and I was at the point of giving up because I cannot find a job. You reminded me WHY I pursue this career who mocks me and constantly makes me feel inadequate-because I LOVE kids and I love teaching! I have never wanted to be anything else. I knew in First Grade that I wanted to be like Mrs. Linda Daniel and make a difference for a kid like me. 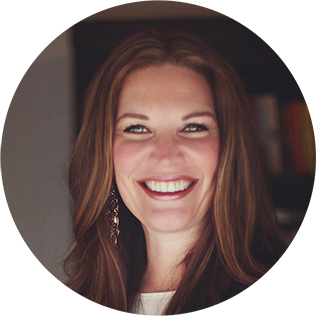 Thank you Jen Hatmaker for saying the things that remind me why I do what I do. Reading your words (with tears in my eyes) motivates me to be a better version of myself tomorrow when I am surrounded by 738 middle school students as their guidance counselor. Thank you, thank you, thank you. Oh My, this brought tears to my eyes as I was reading it. It brought so many memories to me. I am a retired elementary teacher, of 34 years in the classroom. I have taught Title 1, Kindergarten, 1st grade, 2nd grade, 4th grade & 6th grade. I have loved each level for it uniqueness, its challenges and its fun. A perfect quote I once came upon . . . . ."Teachers love their students as their parents love them--but in a different way and for a different reason." My wife (she's 50) just found out today that she passed her Texas certification exam! Debbie Modawell you will may a wonderful Teacher! Let's not forget the classroom aides, instuctional aides and special education aides who also spend their evenings, weekends and summer break preparing materials for the students they work with...also without pay and often spending their own money to create educational/instructional material. I know because I do it ever day. There is no person who gives more than an elementary teacher! I taught for 31 years and still miss my kids! Not the paperwork! But that was part of it! That doesn't count all the bullentin boards, hours spent, or, just LOVE! you are my new best friend. signed, a middle school teacher. I'm an eighth grade English teacher, and after I pull myself together because I read this, I am going to bring the love into class today. Thanks for the inspiration. You made this teacher's eyes sweat drops. Thanks. I'm forwarding this to my daughter who is in her first year of teaching 2nd grade. You have described her perfectly. She does love her kids! I am forwarding to our staff of teachers in a small East Texas community. What you have written has stayed, positive and all, in my heart for 45 years. Teaching, where lives are made. You have made a capsule that legislators need to memorize when voting and wanting to micromanage education. Thank you for beginning my day with a description of my life, too. I am a proud teacher, no matter what has transpired. I thank God for my job . I know He has blessed me with this opportunity to love those around me. I am given the gift of precious children every year that are designated to be in my life to teach me true values of how we spend our time and the reality of my short comings. I learn more from my children than I ever have from a book. I taught for a span of 42 years...public, private, rural, suburban..grades 1st though 8th. Teaching was my passion. It enriched my life to help encourage and challenge those students that I served.Critical thinking, research skills, science and history help students find their passion in so many areas of life. Thank you to the teachers who are still out there giving their hearts to our kids! Loved my career! wouldn't have changed it for the world! thank you for your letter! now retired after 37 yrs and still miss it! my students will always remain in my heart! I learned so much more from them God Bless them all! This made me tear up and get goosebumps! I love my job and appreciate this letter! It lifted my spirits and will be something I refer back to often when I need a "pick me up!" THANK YOU! Thank you so much for this! It is so refreshing, especially since all we hear in the news are awful stories full of everything wrong with teachers and education. 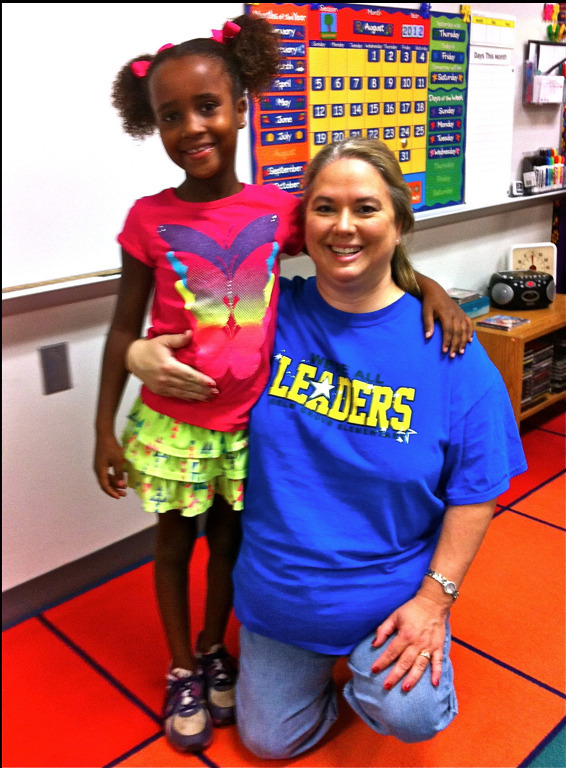 Does your school do the Leader in Me program? My children's school is looking at it right now. Any thoughts on it?? From one former teacher to another... YEA!!! Sooooooooo well said! Thanks so much - WOW! Did I need this, especially now going into the home stretch of the end of year. I have a daughter, her son, a grand daughter, and a grand daughter in training, who fit this description. I am so very proud of them!!! Thaey add so much to our community and to our world. I consider teachers the most important person in a school ageer's life and we should be paying them what the athletes and entertainers make for a couple hours "entertainment"!!! Wake up America!!! Thank you! I taught for 40 years and you have just described it perfectly. Thanks. As a christian parent with my kids in public school, I'm tired of hearing how bad our schools are, how inept teachers are, how clueless the administration is, how shallow the curriculum is, etc. So grateful you wrote this post. Gold star to you, Jen. Teachers are wonderful! Wow, that really touched my heart! It was beautifully and poignantly written and captured the spirit of what those amazing adults have dedicated their life's work to doing for our youth! "I'm in the process of spreading the link for this blog article everywhere. It really touched me. The author captured the heart of what school employees do. Teachers/faculty/staff dedicate their life's work to more than "educating" our future generations. They are surrogate parents & life coaches. And they do it in a day and age when parents are in an uproar because they feel the schools are treading on their parental territory. And they show up everyday to teach when the curriculum changes and the school board enforces stupid new rules/grading systems. Teachers used to be more revered; before education became so cold and political. They could hug their students and show them affection before affection was steered clear of because of the few who were crossing lines. So the line was drawn and now they have to "love" our kids from afar; with words of praise and encouragement. I feel this has caused us all to forget at times that it's not supposed to be an "institution of higher learning" but a home away from home; where at any given moment another adult is comforting our child who got injured, or reassuring our child who was picked on, or giving praise to a child who succeeded, or pushing a child to try harder because they believe in them. These wonderful people are loving our kids for us while they have them from morning to evening, Monday-Friday from Kindergarten through High-school graduation. Politics aside, arguments over pensions and pay on the back burner. These amazing people deserve our gratitude and appreciation. Next week is Teacher Appreciation week. Show your kid's teachers how you feel. Shower them with kindness. We all perform better when we are validated and encouraged. We could start a trend. Maybe end the school year for a few teachers who felt burnt out and second guessing their choice of career from all the negative they deal with. How many parents call/email to say thanks...most just send ones when there is a problem. How many hold their children accountable, a lot blame the school district, the teachers, the curriculum...Thank a teacher today! :)"
Love this. Thank you for sharing your appreciation with everyone you can. You are so right about saying "thanks" and holding kids accountable. It can make a huge difference and be an awesome encouragement. Way to go. Neat! I can still remember. I love this and agree - Mrs. Palmer and Mr. Stranathan were awesome. I also loved Mr. Balsters and Mr. Pulliam...and of course, our crazy driver's ed teachers, Mr. Clanton and Mr. Emberson. I think of them every time there's water on the road and how I hydroplaned during class - I can still see Mr. Clanton grabbing the door handle and hollering to my fellow students in the back seat "Hold On, Kids!!" Brave souls. I don't have kids yet and am not a teacher, but most of my friends are teachers and I can attest to how much extra time they put into their jobs...sometimes it even cuts into our fun time. :) But they do it because they love it and they love their kids and it shows. Plus, we get some pretty funny stories out of it. So thank you to them for investing so much in our future generations. I taught for 21 years and they were the best of my life. The general public may not get it, but the kids do know that we care. Kudos and grateful acknowledgement for those of you still in the trenches. Blessings to all. I'm a first year high school Spanish teacher. Thank you so much for saying thank you! Now, off to teach next block! I left teaching after 5 years and cried as I read your letter! Burned out special edcuation teacher, here. Thank you for these words: I needed this encouragement today! Your words couldn't have come at a better time. This is my first week back at school after being home on maternity leave, and I was dreading it! Thank you for reminding me why I leave my own sweet babies at home every day - so I can love, encourage and grow the other 21 "babies" in my care. Our son is Teacher and we are so proud of him. It was a long hard road for him, but the determination was well worth it for him. He loves being a Teacher, has so much love for all his students. Teachers are certainly under paid and under appreciated for all they contribute to our precious children. Thanks to all of you for caring. 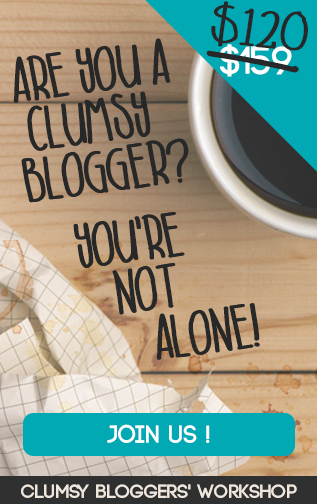 I never, EVER comment on blogs, but I have to say thank you! I am a full day kindergarten teacher, and was so incredibly encouraged by your words today. Thank you for your incredible support of what we do every day!!! I am sharing this with my daughter, a science and math teacher in an intermediate school in Texas. Thank you for appreciating and the support that they need. Teacher's are not the enemy...don't know how Texas Legislators have come to treating this profession with a pat on the head and keep on cutting the educational $$ in our state. Again, thanks and I am sharing, for sure! I'm a teacher, and I posted this to all my teacher FB friends, and one of them forwarded your blog to our ENTIRE school district, so I got the email. Read the blog again, and now, again, I'm CRYING LIKE A BABY in my classroom (my kids think I'm nuts...they're taking a test). You filled my emotional love tank for another year. Thank you! My husband taught history in Middle School for thirty years and both of our daughters are teachers! I am so proud of them and the many teachers who make a huge contribution to the lives they touch. Tears....tears....tears....very emotional!!! Thanks!!! You've encouraged me and reminded me, once again, why I do what I do. I teach senior high English and LOVE my kids. And the ones I don't always love, I pray even harder for. My heart aches for some of them, I feel proud of some like they are my own kids, and all of them become some part of my heart. Your words remind me of the power of what I do and the influence I can have... I am confident God has gifted me and placed me in this career to make a difference, and that knowledge keeps me going day after day. Thank you, THANK YOU for recognizing what teachers give to do what they do, every single day. I am a teacher--now retired, but I will always be a teacher. I am teacher because I had so many wonderful teachers. Mrs. Williams, who knew what to do with a child with mirror vision (now called dyslexia). Mrs. Jones, who made me realize consciously that school was fun for more than just recess. Miss Martin, my 7th grade English teacher, who told me I should teach; I responded, "I had rather dig ditches!" Miss Martin laughed and said, "You'll see." Miss Dye who worked us to death in 10th grade World History and made me love it so much. Mrs. Dobbins who taught me enough about life and Latin that I could then teach some of both. Thank you all for a lifetime of learning and teaching. You were a wonderful Latin teacher, and one of those teachers whose words I still remember clearly after all these years. ("There is no substitute for repetition. There is no substitute for repetition!") It was fun to see your name in the comments:). Sent on to ever so many! Great post. Thanks!! From an exhausted and exhilarated first-year elementary teacher, thank you!!! Honestly, even on the rough days when I think "WHY did I pick this career?!" I can't imagine doing anything else. Your kids make my world go round. Thank you for the love. Thank you so much...my heart is full because of your words! From a college professor who just graded research projects and came down heavily on students who did not follow the writing guide - Thank you! Yes, I am tough but I want to prepared my students to succeed, not just in their next class but in their career and in life. I truly loved my Women's Studies class this semester - they were a hoot and so much fun - but I do them no service if I do not point out their problems and hold them responsible. I too have a daughter who is an elementary teacher going in to Adm. I will definitely post this for her and her friends and colleagues. This time of the year it is good to see someone appreciates what we all do from K-college. From one teacher to another, thank you so much for your beautiful post. I'm a 4th grade teacher in NC, and the last two years have taken a toll on me to the point that I doubt if I'll return for a third year. Your words of encouragement are so needed and appreciated. At least they will keep me inspired for the next 2 months. I am a first-year kindergarten teacher in his second career, discovering just how high the highs are and how tough the challenges. Thank you for this. From a teacher in Idaho--- I can't stop crying! It's been so long since I've heard kind words such as these. Thank you. Thank you for this! I retired five years ago, after teaching high school French and Spanish for 39 years. Thank you! I was eating ice cream (out of the tub of course) thinking I cannot possibly grade one more essay tonight! Thank you from a reading intervention teacher at a middle school in a verrrrry tough area. oh heavens how this filled my balloon to make it to june. love you. From this science teacher of 30 years... thank you for this. I want all my friends to read this and share with other teachers. It is awesome. Incredible :) in my 15th yr of teaching and the most valued I'd ever felt! Thank you for saying what I was thinking, so I can send this to my son's amazing teacher! 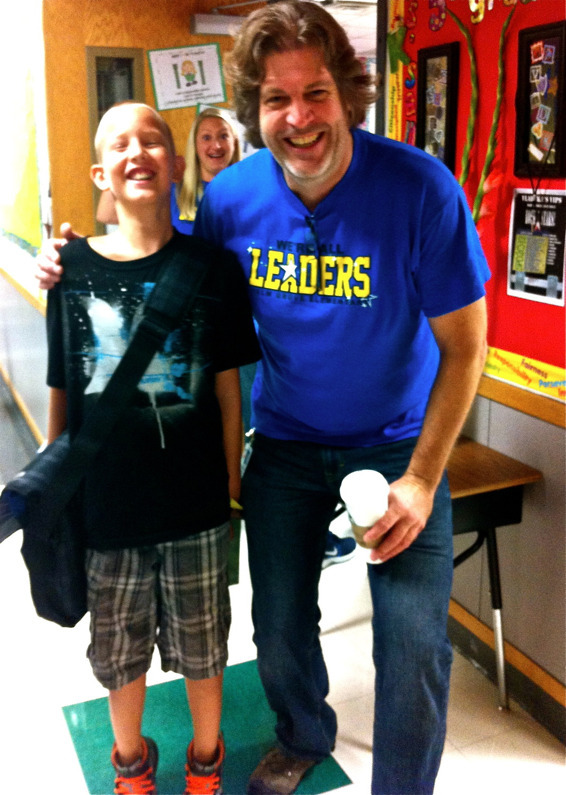 His first year of elementary school in a special class for students with autism...its one thing to be a great teacher, another thing altogether to be a great teacher who changes a 7 year old's diaper and helps spoon feed a child in a wheelchair at lunch. And what a wonderful job she has done with my son, like you said, helping him to accomplish things that I never could. I wept reading this-- I guess it has been a challenging week for this first grade teacher-- and it's only WEDNESDAY!. Thank you. I am commenting while crying...so forgive me if it looks like this...a;aljdfoiwh. I can't see what I am typing. This couldn't have come at a more God-ordained time - I am sitting at my table grading (as usual) and was just about to GRADE A LOSE IT. I am now a college professor (taught the wee first graders for years) and I'm tired. Not only that, but the world at large seems to be SO against teachers. This is so needed. Funny though - it comes from someone who has BEEN THERE. I only wonder how educational reform would spin on its axis if folks who have never taught one minute in a classroom did it, and for a whole year. Ask Tony Danza. He did it. Ha ha. Going to spread this around. This post is flying around on facebook .... because it is so enormously refreshing for those of us in the classroom. Bless you, bless you, bless you .... for reminding me, and so many others, that my job is valuable, and eternal. I am a second grade teacher - and I will reprint this so I can read it again and again. "Your consistent presence is deeply healing for so many hurt kids. Your words are life-giving." And then I started crying. Thank you so much for affirming the radness of teachers - public school teachers. Our kids go to a very low SES school that is primarily ESL kids. It has been the best experience ever for us and our kiddos. I shipped a link to this directly off to their principal - the one who stands by the door every single morning and greats each child by name, then turns around and does it again at the end of the day. Gah, I love those people so much. Thank you so much from one more grateful teacher. I'M not a teacher but I've always been a student. Thank you all of you teachers for instilling in me love, respect, discipline, assertiveness...I could go on and on. Thank you for helping me to become a good parent who knows how to do homework with my kids. It's hard work but it strengthens the bond I have with them. Thank you for your sweet words of affirmation! %uD83D%uDC97 This was so refreshing to my soul. It is nice that someone notices all we do AND takes the time to say so. This was much needed at such a hectic time near the end of the school year. I teach Kindergarten & love, love, love it! Thank you to my first grade teacher, Mrs. Shipp, for inspiring me to become a teacher. I LOVE this article...thank you so much! You made my day. I would like to share this on my blog and Pinterest boards if that is okay with you! Teachers everywhere need to see this article! Thank you!! I needed this today. I feel renewed and like I can buck up and be amazing today!! and achieved their goals because they had great teachers. I have said more than once that Teachers are anointed and under appreciated. I'm sending this to both of my favorite teachers. I so needed this today!!! Thank you for recognizing us! I am a teacher of 2.5 years, and it's that point in the year when my ninth-graders decide not to act like humans anymore. I needed this. Truly. As a first grade teacher of two years, I so needed to read this today. Thank you for taking the time to value and appreciate teachers so well- knowing you've been there is so affirming! Even after a difficult year, I'm thankful for the chance to love on these little leaders. Very well said - Teachers everywhere need to read this and know how much they are truly appreciated. Omg - where have you been all my teaching life??? THANK YOU!!! Kudos to all teachers and administrators. I would also like to add thanks to volunteers in schools. I volunteered at my son's school on a regular basis until some craziness from my soon to be ex-wife. I enjoyed it soooo much, even the days that I went home saying to myself, "I need a drink." Thank you. After 34 years of teaching, it's good to remember in such a positive way, that you do make a difference. As a 34 yr. (retired) teacher...I thank you! Your cogent comments and observations are well phrased, and so true! At one point, in the first ten years of my career...I had to become a cheerleader sponsor, in order to keep the job. That year, the extra hours resulted in a NEGATIVE income, when I had to figure in the extra babysitting charges! Coaches and others in the profession know what I am talking about! I loved every minute of my career, but I have difficulty in recommending it to young people, due to the demands the profession makes on the individual, AND their family! Thank you times a million! It could not have been said better! If only people new the reality of our jobs! Bless your heart! This essay made me cry. I teach special needs children and am glad someone out there knows I really love my kids. thank you, i'm pasting this on my facebook page for my friends and family to see. I have many friends and family that are teachers. so thank you.